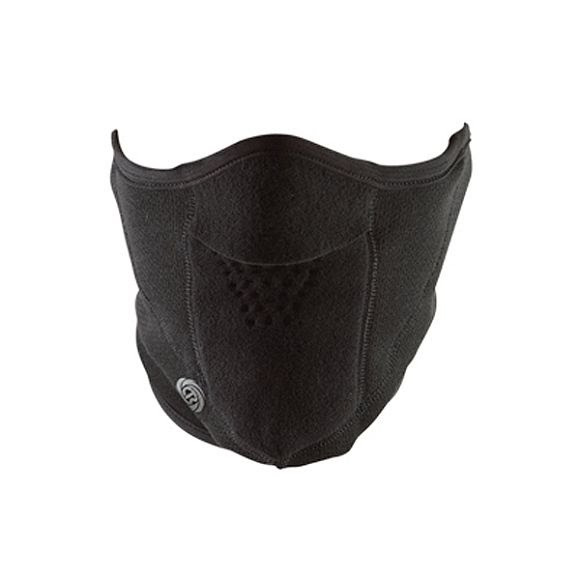 For the ultimate in warmth and cold weather face protection the Chaos Howler Face Toaster features Polartec Windbloc-ACT material to provide a 98% windproof, waterproof and breathable face and neck shield that fends off the most extreme conditions, keeping you warm and comfortable. Polartec Windbloc-ACT fabrics provide wind and weather protection for active sports where enhanced breathability is required. Blocking 98% of the wind while allowing the other 2% to circulate within the fabric, greatly enhancing moisture vapor transmission, 2 times faster than other windproof fleece and improves breathability, reducing the risk of heat and moisture buildup. Featuring a breathable stretch-polyurethane membrane, Polartec Windbloc-ACT fabrics enable you to stretch freely and move quietly through your outdoor activity. A durable water repellent finish sheds rain and snow, while a Polartec Power Dry lining inside pulls moisture away from the body to keep you dry. Polartec Power Dry fabrics are designed to keep your skin dry when you sweat. A patented bi-component knit construction that uses different yarns on either side of the fabric, creating two different surfaces: one that is optimized to move moisture away from the skin, the other to dry quickly.